Police say the crash took place shortly after 9 a.m. when a car rear-ended three cars and a bus stopped at a red light. 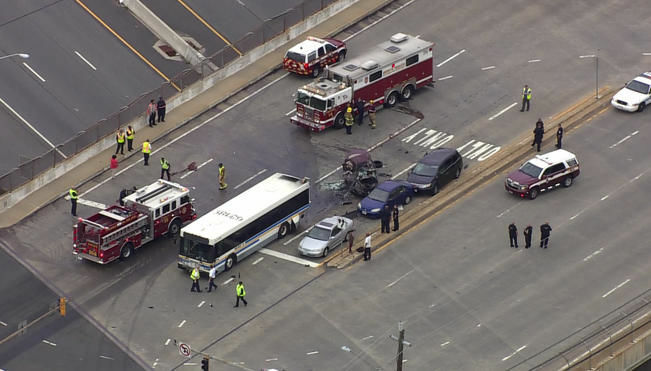 WASHINGTON — One person is dead and seven are injured after a multivehicle crash Thursday morning in Greenbelt, Maryland. The driver of the car was pronounced dead at the scene. Seven others were taken to the hospital with non-life threatening injuries. Police are investigating the cause of the crash.